You are here: Home / BILECO - Biliran Electric Cooperative, Inc. 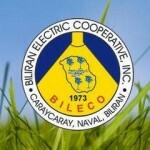 The Biliran Electric Cooperative, Inc. (BILECO) is a non-stock, non-profit electric cooperative registered with the National Electrification Administration on July 6, 1973. 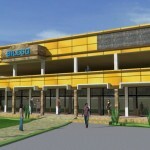 Its main office is located in Brgy. Caraycaray, Naval, Biliran. BILECO is the sole electric distributor in the mainland province of Biliran covering 117 barangays within the seven (7) municipalities, namely: Almeria, Biliran, Cabucgayan, Caibiran, Culaba, Kawayan and Naval. As of May 2014, the total membership posted at 27,640. Residential consumers comprise of about 93% of the total house connections. Deniza Palma 3 star I would give the perfect star if BILECO would give its consumers updates during blackouts in their areas. Thank you.